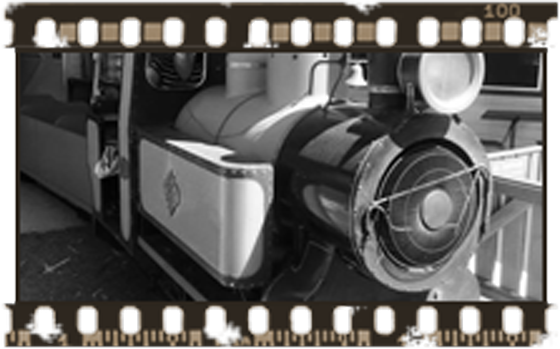 The Weston Park Railway first chugged to life in 1973 with a little red train and quickly became a favorite for children in Canberra. Over time the track was extended and changed from an oval to a figure eight, and a new train "Bluebell" was commissioned to be built by the Bermagui Foundary. Most recently the carriages have had canopies installed to help keep the sun and light rain at bay, and we're now working on an accessible carriage to take wheelchairs and prams! Join us on Bluebell and you will journey past the full size 1910 carriages, Lake Walter mini golf courses, the massive anti-submarine gun from the Destroyer HMAS Vampire, then on through the 'scary' tunnel and into the Pine forest to have a wave at our animal farm friends. What else will you see! For a special experience why not include a farm stop, where you can get off the train and meander around for as long as you like and get up close and personal with our Farm Friends. Children under 5 must have an accompanying adult, all babies 12 months or under ride for free. During open hours, Bluebell departs every 30 minutes dependant on demand and weather conditions. Here at the Weston Park Railway, we don't allow food or drink onto our train and for your own safety please keep all body parts inside the carriage at all times! *Please Note: The train schedule is subject to weather condition. If rain or wind imposes a safety risk our staff reserves the right to postpone departure until a safer time.